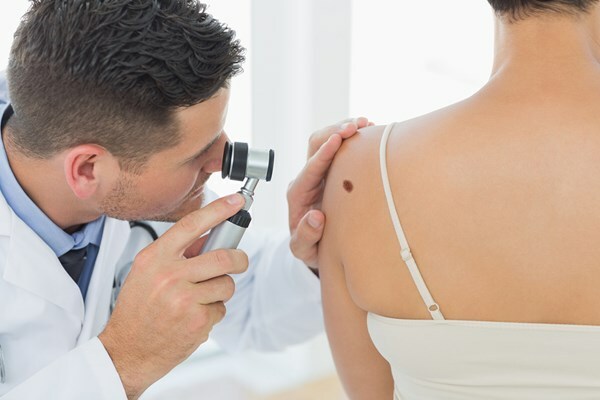 UQ Diamantina Institute's Dr Mitchell Stark is among researchers investigating why melanomas develop from some naevi (moles). "In Australia, about half of all melanomas develop from a naevus, but most moles will never progress to become a melanoma," Dr Stark said. "We are trying to determine what causes some naevi to change so that we can better predict or more accurately detect those which could become dangerous. "This would help avoid unnecessary excisions of those lesions unlikely to pose a risk." 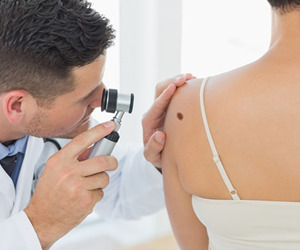 Scientists from UQ's Dermatology Research Centre analysed samples from participants in the Brisbane Naevus Morphology Study, and discovered all had one of two key mutations associated with melanoma. "We found that 85 per cent of samples had a mutation on the gene known as BRAF, and the remaining samples had a mutation on the NRAS gene," Dr Stark said. "When either of these genes are mutated it activates the signalling pathway known as MAPK, which is commonly active in melanomas. "Clearly our samples were not melanomas, so additional genomic events need to occur before a mole becomes malignant."